Intercollegiate Athletics — Lycoming sponsors intercollegiate programs in football, wrestling, golf, women's volleyball and softball, and men's and women's soccer, cross-country, tennis, basketball, swimming, and lacrosse. Warrior teams compete in the Middle Atlantic Conference and in Division III of the National Collegiate Athletic Association. Recreation and Intramural Sports — The Keiper Recreation Center provides for students, faculty and staff to enjoy recreational sports opportunities. The 54,000 square foot Keiper Recreation Center, built in 2004, houses a suspended indoor track overlooking 4 multipurpose courts for basketball, volleyball, tennis and other activities. The Rec Center also includes a weight room and fitness center, both with state of the art equipment, as well as locker rooms and sauna. The swimming pool is accessible at different times throughout the academic year for open swim. There’s something for everyone! All motor vehicles operated on campus, either regularly or temporarily, must be registered with the Department of Safety and Security. Parking decals are obtained by going online and accessing WebAdvisor. Go to the Safety and Security tab and click onto "Vehicle Registration". Follow the prompts to complete the registration form. All requested information must be entered to complete the vehicle registration. The annual fee to register a returning student's vehicle on campus is $120.00. There is no fee for temporary registration. All vehicles must be parked in designated lots. The College is not responsible for any damage or theft from any vehicle on College property. Traffic and parking regulations can be found in the "Policies" section of this handbook. Membership in the Lycoming College Concert Band is open to all students who play band instruments and read music. The Concert Band presents concerts in the fall and spring, and performs at a Family Weekend concert, Christmas Candlelight Service, Honors Convocation, and Baccalaureate and Commencement services. In the spring, following final exams, the band tours for several days, visiting locations such as Baltimore, Cleveland, Williamsburg, Toronto, Myrtle Beach, and Boston. Band members receive one hour of course credit at no charge, and the hour counts toward the fine arts distribution. The band has evening rehearsals–two full rehearsals and one sectional rehearsal per week, the latter involving woodwind, brass, and percussion in alternating weeks. There are small ensemble opportunities such as Woodwind Quintet, Brass Quintet, Flute Ensemble, Saxophone Quartet, Clarinet Choir, and Percussion Ensemble for interested students. If you do not own an instrument, the band may be able to loan one to you at no charge. The band provides a great opportunity to get to know people, to be part of an established group, and to enjoy music. An ATM provided by M & T Bank is located in the Wertz Student Center on the second floor north wing. If you choose to keep your money in a local bank, Williamsport has a number of banks with branches within a five-minute walk from campus. Also, upon presentation of a Lycoming ID card, you may cash checks up to $300 at the Business Office on the first floor of Long Hall. This is the only location for check cashing on campus. Local banks will cash checks only if you have an account with them. Bulletin boards in all buildings on campus are provided to assist with the promotion of campus activities and posting college-related notices and information. Information posted about non-College activities, services, or articles must be approved by the Office of Student Life and Dean of Students and may be removed without notice when space is needed for other purposes. Signs may not be posted on glass doors or painted walls. The Lycoming College Choir, always considered one of the finest college groups in the East, is open to all students. The Choir meets on Monday, Tuesday and Thursday from 5:30 to 6:45 p.m. Students may join at the beginning of each semester. Choir members receive one hour of course credit each semester at no charge. The hour counts towards the fine arts distribution requirement. Choir is taken in addition to the regular four-course load. A 40-voice tour choir travels annually on two weekends in the eastern part of the United States, and takes an extended tour during the mid-term vacation in the spring semester. In March, 2013 the Tour Choir toured Puerto Rico; In May, 2010, the Tour Choir toured Argentina. In past years, It has toured Canada, England, Puerto Rico, Spain, Poland, the Czech Republic, Hungary, and Germany. A chamber choir of 28 meets on Mondays, 7:00-7:45 p.m. and Wednesdays, 5:30 -6:45 p.m. and performs a diversified repertoire from vocal jazz to major works. Anyone who enjoys singing is welcome in the Lycoming Choir. The students develop a strong bond of friendship as they strive for excellence in the pursuit of beautiful music. Many Lycoming students travel off campus in their leisure time to take advantage of the many opportunities the area has to offer. Williamsport is the largest city in the region and is Northcentral Pennsylvania's center of industry, government, shopping, culture, education, and recreation. If you are willing to explore beyond the campus gates, Williamsport has much to offer. Calvary Baptist (American Baptist), 34 Washington Blvd. St. Boniface Roman Catholic Church, 326 Washington Blvd. Williamsport's downtown provides "boutique" type shopping. The "Golden Strip" area (two miles from campus east on Washington Boulevard) offers additional shopping opportunities at the Loyal Plaza and T.J. Maxx Plaza. River Valley Transit buses leave for the "Strip" every half-hour until 10:00 p.m. Also, about 20 minutes east of the College, the Lycoming Mall offers over 80 stores and restaurants for your shopping pleasure. The mall is open until 9:00 p.m. Monday through Saturday and 11:00 a.m. until 5:00 p.m. on Sunday. There is also bus service to the Mall. Williamsport is the county seat of Lycoming County and is the center for local government and services. Additionally, most regional, state, and federal government offices are located here. A branch of the Williamsport post office is located at the corner of Hepburn Street and Park Avenue, several blocks from the campus. Movie theaters are located in the City at the corner of West Fourth Street and Hepburn Street and at the Lycoming Mall. Live music — rock, jazz, folk, and country — can be heard at many area night spots. The Community Arts Center, 220 West Fourth Street, offers a wide variety of live entertainment and feature films. For information on upcoming events, contact the Center's box office, 326-2424, or http://www.caclive.com/. The College offers a limited number of free tickets to students through the Office of the Vice President for Student Life and Dean of Students on a first come first served basis for specific shows during the year. Watch for emails regarding these tickets. Spacious Brandon Park, one block north of campus, has plenty of trees to sit under and ball fields to play on, as well as the closest tennis courts to campus. The area has many cool, clean mountain streams with good fishing. For hikers, the 40-mile-long Loyalsock Trail begins about 10 miles northeast of Lycoming and winds through wilderness to World's End State Park. The nearest ski resort is Ski Sawmill, about a 45-minute drive west on Route 220 and north on Route 287. Of course, this is just a brief sampling of what the area offers. More information is available at the Welcome Center of the Chamber of Commerce on Williams Street across from Wegman's and on the web at http://www.vacationpa.com/explore.php. River Valley Transit offers free bus transportation to Lycoming College Students. Students need only to show their student ID. Ride guides can be obtained at Student Involvement, the switchboard in Long Hall, Residential Life Office, and the offices of the faculty secretaries. See: http://www.ridervt.com/routes/routes.htm. Community service is a vital part of the Lycoming College student experience. Service provides the opportunity to learn leadership skills, test career options, address social problems, and develop civic responsibility. Beginning with the freshman community service experience in the "FYRST" program, students are provided with a variety of service opportunities. Volunteer opportunities include, but are not limited to, issues of homelessness, poverty, food insecurity, health, and education. Lockers to store books and supplies are provided in the Academic Center. You must provide your own lock for the locker you choose. All lockers must be emptied by the end of the May term of each year. Cafe 1812 features organic and fairly traded coffees roasted by Golden Valley Roasters of West Chester, PA. Café 1812 is much more than coffee. Freshly remodeled, it now offers smoothies, milkshakes, sandwiches and salads made to order. The hours of operation are Monday thru Friday 7:00 AM to 5:00 PM. Students can use dining plan flex dollars or cash equivalency, cash, MasterCard and Visa. Wertz Dining Hall is open to non-residential students at a reduced rate from the guest rate. Go to "Dining" for more information. Dining Plans are not just for resident students, there is also a commuter dining plan option. Information regarding dining plans is available at the Business Office on the first floor of Long Hall. Lounge and study space is available in Pennington and Burchfield Lounges, Lynn Science Center and Jack's Corner in the Wertz Student Center. Notices of meetings and other events are displayed prominently on closed circuit television monitors in Pennington Lounge. Additionally, the College's Event Calendar can be accessed on the Lycoming College home page. Emergencies: In case of emergencies, commuter students should instruct appropriate persons to contact the Office of the Vice President for Student Life and Dean of Students, 570-321-4039. Use of College Facilities: All College organizations, facilities, and events are open to commuter students and the College encourages students to take advantage of the numerous opportunities available to the college community. Commuter Student Organization: The Commuter Student Organization is a student organization for non-residential students. Please contact Barb Eldred, for information about joining CSO. Campus Mail: Non-residential students are not assigned on-campus mailboxes. If you wish to have a mailbox, please contact the Mailroom. Boxes are assigned on a first come-first served bases. The Mailroom is located on the 2nd floor of the Wertz Student Center. Email is the primary means of communication between most administrative and faculty offices and students. It is the student's responsibility to check their on-campus email account on a regular basis. All resident students, both those residing in traditional residence halls and the College apartments, are required to purchase a dining plan. There are two dining plans offered for resident students, one offers meal equivalency in our retail locations and one does not. Commuter students are not required to purchase a dining plan but there is one designed especially for them. Information regarding dining plans is available at the Business Office on the first floor of Long Hall. Any student who will miss a meal because of a time conflict due to academic, athletic, or College sponsored event, may make arrangements with the Dining Services office for a boxed meal replacement. Please allow at least 24 hours notice for a boxed lunch request. Lycoming College Dining is proud to offer continuous dining at the Wertz Dining Hall. This service provides flexibility for the student who cannot make it into the dining hall during regular meal times. All meals in the dining hall are served cafeteria-style. You can enter from either the College Place or Quad side of Wertz Hall. No smoking is permitted in the main dining room or the private dining rooms. Shoes and shirts must be worn in the dining commons at all times and dirty dishes must be deposited on the conveyor inside the dining hall. Food, tableware, china, and glassware may not be removed from the dining hall. Take-out meals are available from the Dining Hall if a student is unable to eat it during a specific meal period. Please let the cashiers know when you are coming in and they will make sure you receive a reusable to go container. Decorated birthday cakes, assorted snack baskets, and holiday packages are available from Lycoming Dining Services’ catering department. Please call 570-329-1292 to make arrangements. You may wish to bring family, friends, or other guests to the cafeteria to join you in the dining hall for a meal. Guests are always welcome and may purchase a meal at the door during meal hours. For those on a student dining plan, special guest tickets are available for purchase at the Lycoming Dining Services office in Rich Hall. The price is $25.00 for 5 meal tickets. Commuter students are not required to purchase a dining plan but there is one designed especially for them. Information regarding dining plans is available at the Business Office on the first floor of Long Hall. Commuter students not on a dining plan will receive a $1.00 discount for breakfast and a $2.00 discount for lunch, afternoon and dinner meals, to receive this discount you must present a valid Lycoming College I.D. card. It is College policy that all students must present their ID Card to gain admission to the dining hall. Use of an I.D. card by an individual other than the cardholder is prohibited. A temporary ID may be obtained from Security for any resident student who has lost their ID. Arrangements for private dining room meals (PDR’s) can be made through the Director of Catering, provided it is for an approved event scheduled through the Office of Student Activities and Involvement. Student groups must first receive the approval for the event before the dining service will make the necessary arrangements. Students who will be eating their meals at the event must sign the approval form in order for the group to have the food provided at no extra cost. Students who sign this form may not eat during that particular meal period in the dining room. Dining Services will cater special meals for any individual or group. A variety of different catering guides and options are available for student groups whose members are on dining plans are provided with some additional costs. Special meals for special events may be arranged with the catering director, based on one of the catering guides. These meals are available at the rates stated in the guides. Groups may also arrange for hors d'oeuvres for receptions, open houses, parties, and other events through one of the catering guides or arrange a custom event with the Director of Catering. Special diets for medical reasons or due to food allergies can be provided for students through the dining hall. When a student is restricted to his or her room for medical reasons by the College nurse or physician, a sick tray will be provided by the Wertz Dining Hall, according to the orders of the physician. Students who require special diets for most religious or lifestyle reasons can be accommodated in the dining hall. Arrangements for take-out meals can be made through the Director of Catering, provided it is for an approved event scheduled through the Office of Student Involvement. Student groups must first receive the approval for the event before the Dining Services will make the necessary arrangements. Students who will be eating their meals at the event must sign the approval form in order for the group to have the food provided at no extra cost. Students who sign this form may not eat that particular meal in the dining room. The Lambda Chi Alpha loan fund is administered through the United Campus Ministry office. This fund grants loans in small amounts, up to $20.00, for personal emergencies. Students may apply for a loan twice a semester; however, there may be only one active loan at any given time. A $1.00 service charge is assessed on all loans. Loans are to be repaid within one month from the date of the loan. Failure to repay the loan will necessitate an additional $1.00 charge and prohibit the student from making use of the fund again. An emergency loan fund provided by the Women of Lycoming is available for students who have larger needs for unpredictable expenses. Loans are available upon application to the Vice President for Student Life and Dean of Students. Loans cannot be made for non-emergency situations. Payment plans can be arranged; however, all loans must be repaid by the end of each semester. Lycoming has chapters of several honor societies that recognize outstanding achievements and scholarship in respective fields. Campus national honor organizations in their affiliated academic fields include: Phi Kappa Phi (all fields), Kappa Pi (Art), Phi Alpha Theta (history), Omicron Delta Epsilon (economics), Alpha Epsilon Delta (health), Sigma Pi Sigma (physics), Psi Chi (psychology), Alpha Kappa Delta (social sciences), Pi Sigma Alpha (political science), Beta Beta Beta (biology), Phi Sigma Tau (philosophy), Phi Sigma Iota (modern language studies), Alpha Psi Omega (theatre), Kappa Delta Pi (education), Sigma Tau Delta (English), Alpha Phi Sigma (criminal justice), Gamma Sigma Epsilon (chemistry), Lambda Pi Eta (communication), Kappa Mu Epsilon (mathematics), Theta Alpha Kappa (religious studies/theology), Sigma Beta Delta (business management/administration). For more information on these academic honor societies, please see page maintained by the Office of the Provost. In addition to these, there are a number of other leadership-based honor societies on campus. They include, Gamma Sigma Alpha (fraternity/sorority academics), IRUSKA (leadership), Order of Omega (fraternity/sorority academics and leadership), Rho Lambda (sorority leadership) and Omicron Delta Kappa (National Leadership Honor Society). Timely. Controversial. Award winning. That's the Lycourier...Lycoming's student newspaper. Since 1985, this bi-weekly newspaper has kept the students and hundreds of others informed about the campus. Students prepare the articles, take the photographs, sell the advertising, monitor the expenses, mail the subscriptions, and circulate the tabloid. Located in the Department Communications, the Lycourier offices include IBM computers for desktop publishing. All students are welcome to join the Lycourier staff and students from a variety of majors contribute to the publication. Students studying photography get experience taking photographs for the newspaper; Business majors use the experience to practice skills from their classes; other majors use the opportunity as a diversion or a chance to work with peers on a joint venture. The Lycourier experience allows Communication majors an opportunity to build a portfolio in preparation for a career in the mass media. For students interested in sharing their unique observations on life, the Lycourier is another avenue for expression. The Department of Communication can provide additional information. Mail is distributed through campus mailboxes in the Wertz Student Center Monday through Friday. Mail Services at the College is accessible only to regularly employed mail services personnel. The mailboxes may be used for distribution of announcements by recognized student organizations, College offices, and faculty. Mailings should be in box number order, lowest box number first. All such announcements shall indicate clearly the name of the person or organization responsible for the mailing. Failure to identify the source will result in the forfeiture of the privilege of using the College mail distribution system for that specific communication. All other mail must be addressed by name and box number and be at least 3" x 5" in size if it is to be delivered through Mail Services. When mailings are for the general student population and are not addressed, they will be placed in the mailboxes at the discretion and convenience of mail services employees. Any authorized organization, office, or faculty member desiring such a distribution should see that the material is delivered to the mailroom at least 24 to 48 hours in advance of the desired distribution date. During each academic year, the Theatre Department produces three to four full-length, fully mounted plays in the Mary L. Welch Theatre. These plays are selected to represent the range of dramatic literature, including comedy, tragedy, classics, and musicals. All students are encouraged to participate in these productions as actors and/or backstage crew. This flexible black-box theatre is used exclusively for student-produced plays and events throughout the school year. An average of three to five shows is produced each year, which includes one-act and full-length plays as well as play readings and other student projects. You are advised to carry insurance on your personal property either through your family's homeowner's policy or by separate coverage. Even when insured, however, lock your room door; most burglary insurance is collected only when access is gained to a room by forcible entry. The Wertz Student Center is equipped with a pool table, foosball table, TV, and Bose™ sound system in Jack's Corner for students' enjoyment. The Lycoming College Department of Safety and Security encourages everyone to be involved in their own safety. A truly safe campus can only be achieved through the cooperation of all students, faculty, and staff. The potential for crime on campus does exist. We should all assume a personal responsibility for taking precautions to prevent ourselves from being a victim of crime. The Department of Safety and Security staff consists of a Coordinator of Safety & Security, six full-time and six part-time safety and security officers, and six part-time student communications officers. The patrol officer is responsible for regular foot and vehicle patrols of campus, providing assistance to the campus community, parking enforcement, and first response to criminal activity, medical emergencies, or fire. Thirteen non-deputized, unarmed, uniformed officers provide around the clock, seven days-a-week protection throughout the year. Officers are trained professionals with experience in a wide variety of security training including crime reporting, first aid, and self-defense. Security officers have the authority to enforce all campus regulations. Members of the campus community must take responsibility for the safety and security of themselves, their belongings, and their neighbors. Part of this responsibility is reporting emergencies and crimes that occur on campus to the Department of Safety and Security. Students may report emergencies or criminal acts by calling the security office at ext. 4911 or contacting the Lycoming County Communications Center directly by dialing 911. Campus security officers respond to every emergency call. The College investigates all incidents reported by students and staff to determine the appropriate response and follow-up either through the campus judicial system or through the local police department. Anyone who becomes the victim of a crime on campus has the right to report it to the local police. The Department of Safety and Security can assist in this process when needed. The Department of Safety and Security operates a 24-hour communications center responsible for handling all routine calls, monitoring fire and security alarms, providing information, and maintaining the department's computerized record system. The communications officers dispatch security personnel to complaints and problems, and coordinate emergency site communications. Grounds and Parking Areas: Security lighting has been installed throughout the campus and in parking areas. Regular lighting surveys are conducted and suggestions and recommendations for lighting improvements are made. While maintaining an attractive campus, ground crews prune shrubs and hedges to minimize shadowed areas. Security officers report safety or security problems to the Building and Grounds Department which responds to correct these problems promptly. Students, as well as faculty and staff, may also call Building and Grounds to report any security or maintenance problems. Facilities: Facilities security is provided by members of the Department of Safety and Security who patrol the campus. During the night hours when not in use, these buildings are locked and regularly patrolled by security officers. Residence Halls: Security of the residence halls is provided by members of both the Department of Safety and Security and the Office of Residential Life. Security officers patrol all residence hall areas, check doors to be sure that they are locked, and frequently check with members of the Residential Life staff on duty in the residence halls. Access to the residence halls is limited to students and their guests in accordance with College policy. All residence hall doors are locked at all times as access is available through the main doors via the C-CURE access control system. Lycoming College's crime prevention goal is to eliminate or minimize criminal opportunities whenever possible. In order to accomplish this, all students and employees must take responsibility for preventing crimes in their community. The Department of Safety and Security offers the following programs and serves to assist everyone in becoming more responsible for crime prevention. Escorts: From dusk to dawn, walking escorts from and to any on campus locations are provided to the campus community. Operation Identification: Engravers and tamper resistant stickers are available for placing identification numbers on personal items. Park Smart: Several times during the year, surveys of vehicles are conducted in an attempt to identify those with valuables displayed that may be attractive to a thief. The owner of the vehicle is notified of its condition. Emergency Telephones: Provided in several parking areas on campus. Enhanced Telephone System: All calls received by Safety and Security from emergency telephones or campus extensions are immediately identified by their extension number. Timely Topics: We focus crime prevention topics at the time of year when problems can most likely occur. Each crime prevention topic may be the focus of printed materials, notices in publications, and crime prevention seminars for a period of two weeks. Video Surveillance: Video camera recorders are place strategically throughout the campus parking areas. Security Surveys: Security surveys are conducted of exterior lighting, perimeter security, doors, locks, and grounds. Life Safety: This area is responsible for issues regarding accident prevention, exposure control, chemical hygiene plan, and hazardous communication plan. The Department of Safety and Security is responsible for coordinating emergency procedures as well as the parking committee. Weapons: The possession, use or storage of weapons or dangerous materials is prohibited on College property, on streets within and adjacent to the campus and in all vehicles. Prohibited items include, but are not limited to: firearms, pellet guns, compressed air guns, BB guns, air soft guns, paint ball guns, illegal knives or swords, explosive devices, fireworks, and ammunition. Questions regarding this policy should be submitted to the Coordinator of Safety and Security. Rave Guardian is one of the best ways to improve your personal safety and also protect your friends by building your own private safety network. This app provides instant communication with friends, family, co-workers, campus safety, and even 9-1-1. Learn more at http://raveguardian.com/. Lycoming College offers the Rave Guardian app as an added way to ensure your safety, as well as the safety of your friends, on campus. If you are a current student, parent, faculty, or staff member download for free today at www.raveguardian.com. Students are issued a Lycoming College identification card when enrolled. This card is the property of the College and is held by the student only while he/she is enrolled in good standing. Students must have their ID cards in their possession at all times and must present it to any official of the College upon request. Because the identification card verifies board status, students must not loan ID cards to anyone. To do so constitutes misuse of College property and the card will be confiscated. Lost ID cards must be reported to the Department of Safety and Security immediately. Lost cards will be replaced at a charge of $20.00. ID photos are taken between 8:00 a.m. and 4:00 p.m. at the Department of Safety and Security. Temporary ID cards are issued for use until a photo ID is processed. Lycoming College's lost and found is centrally located within the Department of Safety and Security. Misplaced items can be turned in or claimed at the Office of Safety and Security. Up-to-date Crimes Statistics can be found on the Safety and Security web page, https://www.lycoming.edu/safetyAndSecurity/crimeStatistics.aspx. Lycoming's most distinguished award is the Chieftain, given to the senior who, in the opinion of the students, faculty, and administration has contributed the most to the College through support of school activities; who has exhibited outstanding constructive leadership; who has worked effectively with members of the College community; who has evidence sound moral character; and whose academic rank is in the class upper half. Second semester juniors may be inducted into IRUSKA (meaning "warriors who win high honors"). It recognizes students who have provided outstanding leadership to the student body and who rank in the upper half of their class. Other outstanding achievement awards are given for scholarship, athletic accomplishments, community service, and service to the College. Awards are presented and inductions are made at the Honors Convocation held in the Spring semester. All residence hall rooms are wired for Voice over IP phone system. Because there are situations where a regular “land line” phone is desired, the College provides 2 options to students for a VOIP phone: The first option is to purchase a Cisco VOIP phone from the IT Services department. The current cost is $135 and includes voicemail. Upon graduation, IT Services will buy back the phone at 50% of the purchase price. For more information, please contact IT Services. The second option is to sign up through an online provider such as Skype, which provides phone service through a computer or laptop. However, this option is NOT offered through IT Services and the College will not cover any set-up or maintenance fees charged by third-party providers. Courtesy telephones for on-campus calls are located in Jack’s Corner and the Heim Science Building. Emergency call boxes are available in most parking lots and on the outside of all residence halls. A student literary magazine published under the advisement of the English Department, The Tributary not only features student writing and art, but also gives creative writing majors the experience of performing hands-on editorial work. WRLC is a student run on-campus radio station. The station broadcasts at 768 watts at a frequency of 91.7MHZ with radius coverage of approximately 20 miles and is streamed via Lycoming College’s website at https://www.lycoming.edu/wrlc/. WRLC’s offices and studios are located in the Mass Comm Building on Franklin Street. The station is staffed by students Monday through Saturday during the academic year and by community volunteers on Sundays. All interested students are eligible to become on-air announcers. Executive staff positions are open to all student-staff members through an interview process designed to have the most qualified applicants involved with the various responsibilities. The broadcast philosophy of WRLC is one of diverse programming. On-air shows consist of music from a variety of genres, including: Top 40, classic rock, dance, R&B, jazz, classical, reggae and other styles. When students or community volunteers are not on-air; WRLC broadcasts “The Classical Station” Monday through Sunday; 7 AM to 11 PM and the World Radio Network from 11 PM to 7 AM. “The Classical Station” offers a wonderful selection of greatly appreciated classical music and the World Radio Network features English speaking news programming from around the world. 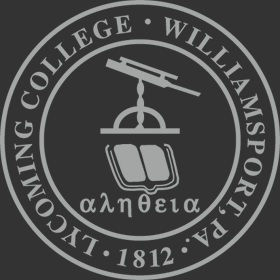 WRLC offers the opportunity to broadcast Lycoming College sports, including football and men’s and women’s basketball games and the station will be involved with on-campus events; such as concerts, blood drives, coffee houses, dining room remotes and more throughout the year.